Justin Lascek holds a Bachelor’s of Science in Kinesiology with an emphasis in Exercise Science. He has coached and trained a variety of populations including Special Operations soldiers from every branch of the military (including international teams); football, track, baseball, basketball, softball, and swimming athletes; paraplegics and cancer survivors; obese and skinny folks; injured trainees requiring rehabilitation; CrossFitters, Olympic weightlifters, and raw powerlifters. 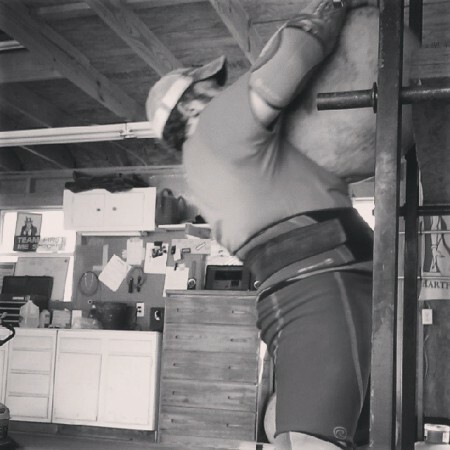 Justin is the writer and editor for 70sBig.com teaches workshops on lifting mechanics and programming as well as consults and programs for trainees, athletes, and soldiers in his free time. His approach to programming for fitness or performance revolves around strength training with barbells and using efficient high intensity conditioning. Justin played a year of collegiate football and competed at the USA Weightlifting Senior National Championships in 2010. He regularly trains and often performs experiments to gain personal experience for writing topics. Justin can be reached by messaging the Facebook Fan Page. Justin also uses the Twitter handle @70sBig for himself and the website. Mike started lifting weights in late 2004 as a means to gain weight before enlisting in the U.S. Air Force. After spending four years in England, Mike returned stateside where he met Justin and Chris, and began competing in powerlifting. His best competition lifts are a 595lb Squat, 347lb Bench, and a 628lb Deadlift. He is still the military national record holder for the USAPL with the Raw Squat record of 551lbs and Raw Deadlift record of 606lbs in the 275lb weight class. Mike separated from the Air Force after 8 years, and is currently working towards his ASC Pro Card in Strongman. 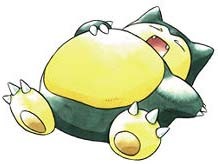 His goal is to achieve this in the next five years. Some of his current bests in strongman are an 800lb Yoke, 285 Axle Clean & Press, 700lb 15” Deadlift, and a 365lb Atlas Stone-over-Bar. Mike also manages the 70’s Big Facebook page and is on the 70’s Big Consultation Team. AC started lifting around 12 years old with his father. After high school he lifted casually in college until he was introduced to Crossfit through Justin, who ran sessions out of the school’s gym. The two met by doing handstand push-ups across from one another, with direct eye contact for the set. The set was to 15. It was really gay, and AC said so. They’ve been mortal enemies since. After obtaining the Level I CrossFit certification, AC helped coach at Crossfit Statesboro, a warehouse gym that Justin and friends opened. 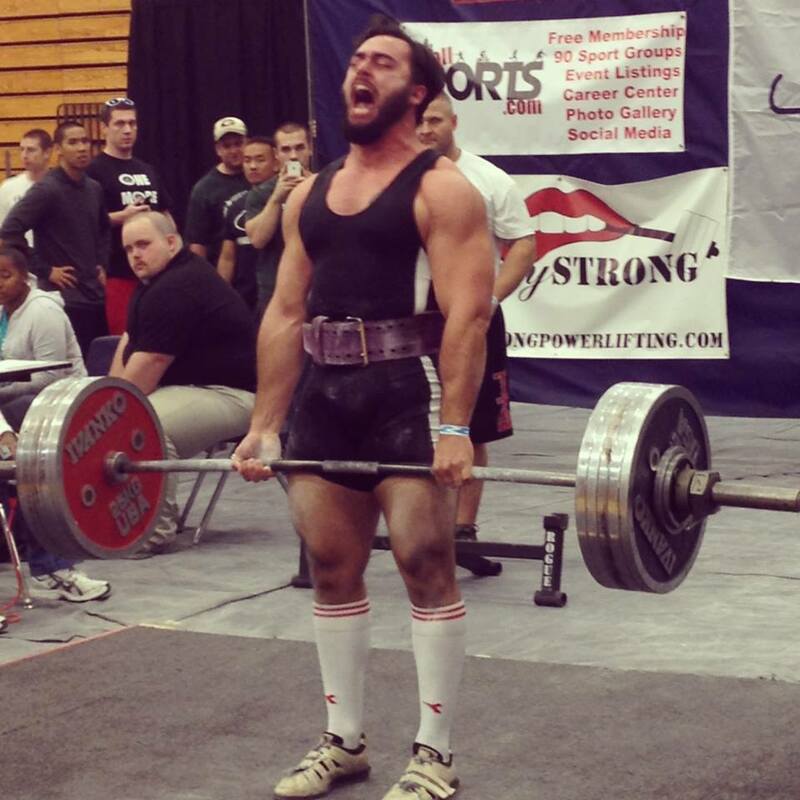 Emergency appendicitis left AC emaciated, and this led him to focus on strength training and later competitive powerlifting. AC continued to lift and compete while earning his undergraduate degree and Master’s of Science in Kinesiology. While in graduate school, he interned with Georgia Southern University’s strength and conditioning staff and worked with the football, baseball, and soccer teams. His best competition lifts include a 562lb squat, a 391lb bench, and 600lb deadlift. Since graduating college AC has been coaching people across different areas of life, from mountaineers to high school athletes. He lives in Georgia andstill competes. He dabbles in stencil artwork and is a gigantic Star Trek fan. Chris Riley is a graduate of Midwestern State University (MSU) with a Bachelor’s in Sport Fitness Management and a Master’s in Exercise Physiology. His thesis, “Lifting belt wear increased 1RM back squat in highly trained competitive powerlifters and weightlifters”, will be published in the International Journal of Exercise Science. Chris is also a Level 1 Certified USA Weightlifting coach and has his CSCS. Chris has coached in the MSU Strength and Conditioning program and has worked with powerlifters, Olympic weightlifters, CrossFitters, bodybuilders, football players, older adults, high school athletes, children, Military, and normal folks trying to lose weight. He has also assisted in coaching barbell training, mobility, and strength and conditioning programming in seminars with 70sBig.com. Chris is also an established strength athlete with a history in Olympic weightlifting and currently competes in powerlifting, strongman, and highland games. He regularly competes at the annual USA Powerlifting Raw National meet and the North American Powerlifting Raw Challenge held at the Arnold Sport Festival where won a gold medal in the super heavy weight class in 2012. He also competes in North American Strongman competitions and aims to earn his pro card. Chris is a life-long drug free and gear free lifter and some of his best lifts are squatting 661 and deadlifting 711 in competition, benching 410 with a pause, axle clean and press 320, and deadlift 600 for 6 reps. He currently holds 3 USAPL Texas State records for age and weight class set in 2010. 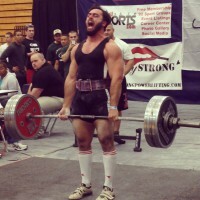 Brent has 8 years of competitive experience in weightlifting and qualified for the 2012 American Open. He is well-versed in self myofascial release as a result of accumulating, assessing, and treating injuries, soft tissue restrictions, and postural faults. Brent has been exposed to and experimented with a wide variety of training methods in weightlifting having trained with the Wichita Falls Weightlifting team and the Midwestern State University Collegiate Weightlifting team, thus has a well-rounded view of different training models. Outside of his own training, Brent has had experience training lifters from beginner to intermediate levels. He also runs a ridiculous quasi-satire website known as MopeilityWOD. Enter at your own risk. 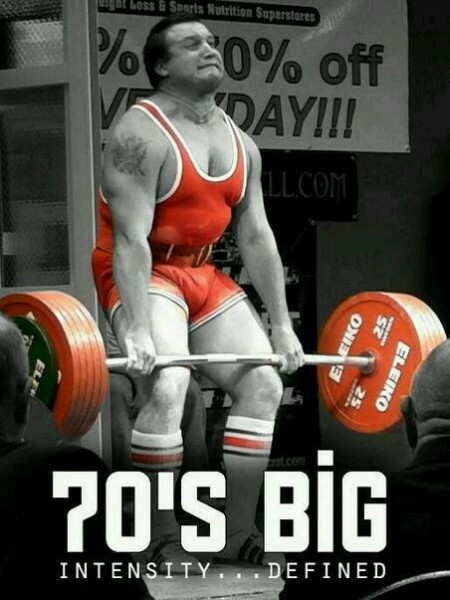 I Love your site, Great Job….I lifted and competed in the 70’s, saw them all. Lifted with Byron Benoit, Bill Johnson, Chip McCain, Bishop Dolegevich, etc @ The Texas Athletic Club, Honorable mention of crazy Jack Woodson. Keep up the great work.